Globalization has brought the most advanced trading networks the world has seen, with the biggest, fastest vessels, robot-operated ports and vast computer databases tracking cargoes. But it all still relies on millions and millions of paper documents. That last throwback to 19th century trade is about to fall. A.P. Moeller-Maersk A/S and other container shipping lines have teamed up with technology companies to upgrade the world’s most complex logistics network. 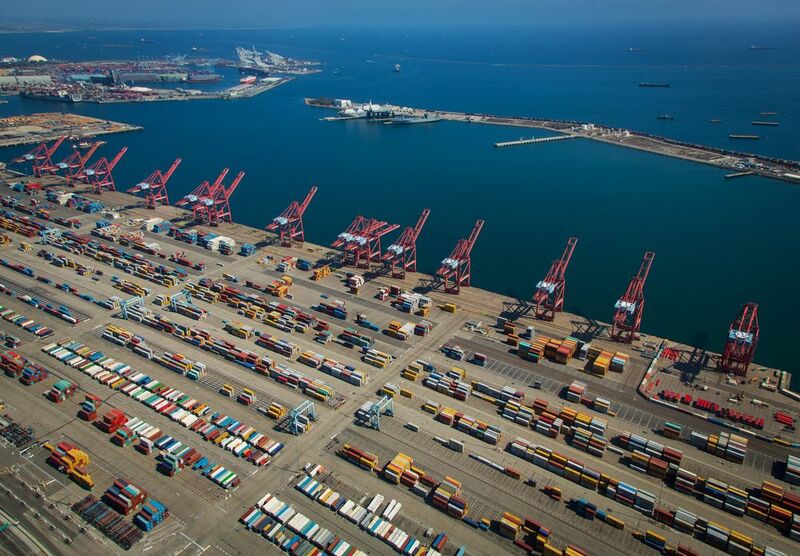 The prize is a revolution in world trade on a scale not seen since the move to standard containers in the 1960s — a change that ushered in the age of globalization. But the undertaking is as big as the potential upheaval it will cause. To make it work, dozens of shipping lines and thousands of related businesses around the world — including manufacturers, banks, insurers, brokers and port authorities — will have to work out a protocol that can integrate all the new systems onto one vast platform. The key, as in so many other industries, from oil tankers to cryptocurrencies, is blockchain, the electronic ledger system that allows transactions to be verified autonomously. And the benefits wouldn’t be confined to shipping. Improving communications and border administration using blockchain could generate an additional $1 trillion in global trade, according to the World Economic Forum. 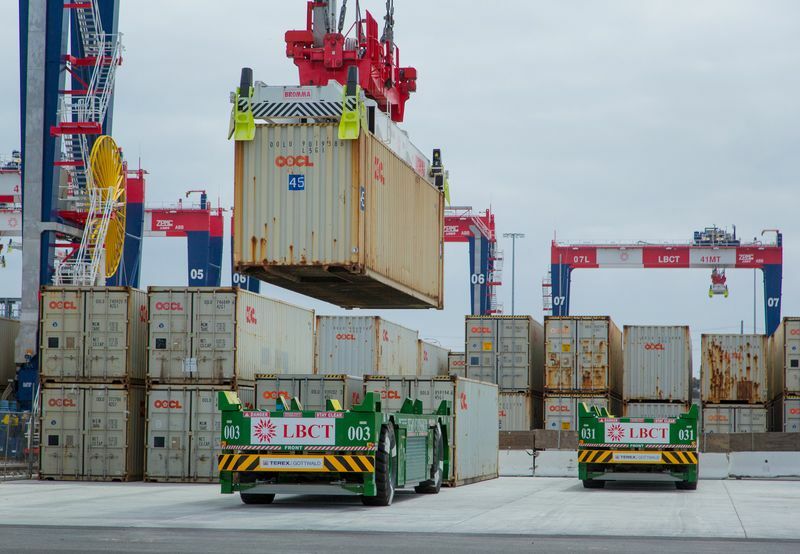 APL Ltd., owned by the world’s third-largest container line CMA CGM SA, together with Anheuser-Busch InBev NV, Accenture Plc, a European customs organization and other companies said last month that they’ve tested a blockchain-based platform. South Korea’s Hyundai Merchant Marine Co. held trial runs last year using a system developed with Samsung SDS Co. The shipping paper trail begins when a cargo owner books space on a ship to move goods. Documents need to be filled in and approved before cargo can enter or leave a port. A single shipment can require hundreds pages that need to be physically delivered to dozens of different agencies, banks, customs bureaus and other entities. That plethora of paper processors has been one of the reasons shipping has lagged behind other industries in moving to electronic forms. 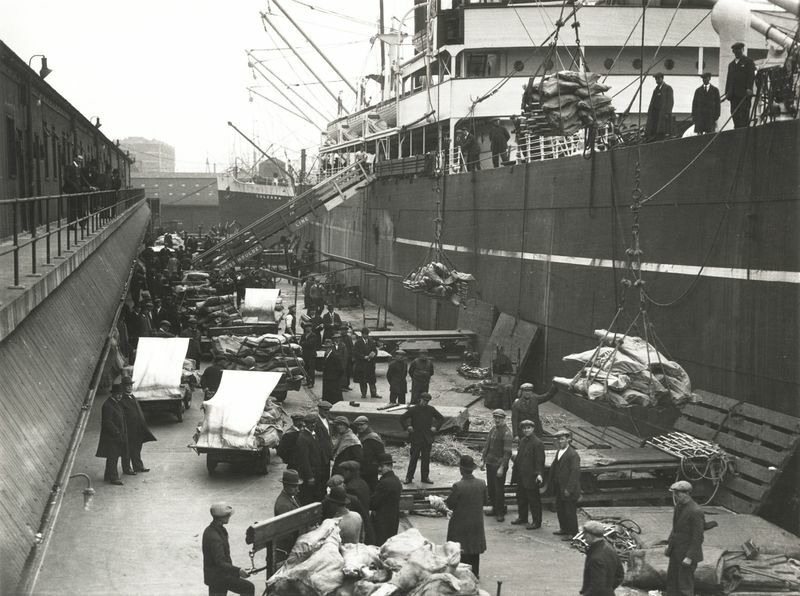 The variety of different languages, laws and organizations involved in moving cargoes in the past made standardization a slow process. 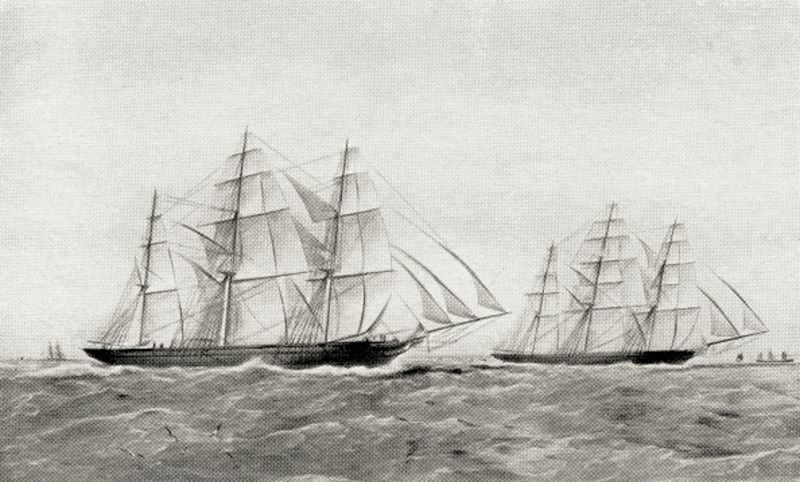 Instead the industry has relied on advances in transport technology and cargo handling to improve efficiency, with the great Clipper sailing vessels replaced by steamships and then modern oil-powered leviathans – the largest ships on the oceans. In the 1850s, it took more than three months to move chests of tea from southern China to London. Today, that journey would take about 30 days. The biggest change came in the 1960s, when the industry adopted the standard-size steel boxes in use today, replacing the wooden crates, chests and sacks that stevedores had hauled on the docks for centuries. With these containers sometimes holding products from different suppliers, and ship cargoes sometimes ending up with thousands of customers in dozens of countries, the transition to a uniform electronic system presents major challenges. And the shipping lines will also need to persuade the ports and other organizations involved in cargo trading to adopt their systems. Maersk said Singapore-based port operator PSA International Pte. and APM Terminals, based in The Hague, Netherlands, will use its platform. APL and Accenture said they plan to pilot their product by the end of this year. Accenture said it has tested its technology with other pilot shipments that range from beer to medical supplies. The cost savings could be visible in the companies’ financial statements in about two years, Kapoor of Bloomberg Intelligence said. The story of how India’s biggest bank fraud went undetected for seven years includes an $81 million cyber-heist in neighboring Bangladesh, penny-pinching lenders and a series of missed opportunities. In 2016, after revelations that hackers had infiltrated the Bangladeshi central bank’s computer systems to siphon off money, its counterpart in India sensed a danger to its own banking system. The Reserve Bank of India reminded all the country’s lenders to ensure their computer networks were properly integrated with Swift, the global system used to transmit payment instructions in the Bangladesh theft. Unknown to the RBI at the time, a rogue employee at state-owned Punjab National Bank had allegedly been taking advantage of precisely that flaw in the Indian lender’s computer systems for five years, perpetuating a fraud that would eventually balloon to $1.8 billion, according to PNB’s account. “The biggest thing that didn’t happen was the linkage between Swift and the bank’s back-end software — they didn’t talk,” said Abizer Diwanji, a financial services partner in India at the accountancy firm EY. “The ball was first dropped” when PNB missed a chance to reconcile the two systems, he said. As the fallout from the incident spreads and various government agencies move to investigate, one thing stands clear: the financial damage was exacerbated by a combination of inferior technology, weak risk management and insufficient regulatory oversight. Had the fraud been discovered a year earlier, the total amount would have been about $800 million lower. PNB alleges its former employee Gokulnath Shetty provided billionaire jeweler Nirav Modi and his associates with guarantees to obtain loans from abroad. Between 2011 and early 2017, guarantees worth 65 billion rupees ($1 billion) were issued without any collateral, followed by another 49 billion rupees over March to May last year, when Shetty retired, according PNB’s complaint that has been made public. Because the computer systems of many Indian banks weren’t compatible with Swift, the RBI didn’t make it a requirement to integrate the two, according to R. Gandhi, a former RBI deputy governor who oversaw the central bank’s risk operations at the time of the Bangladesh hack. However, banks like PNB that hadn’t integrated their systems were required instead to perform daily manual checks to reconcile the Swift messages with internal records, Gandhi added. Given the prevalence of fraud involving global trade finance transactions, it’s critical for banks to ensure automated or manual reconciliation with Swift, said Tim Phillipps, an Asia-Pacific financial crime specialist at Deloitte. It isn’t hard to build an interface between Swift and the bank’s own software, he said. Cost may have been a factor in preventing Indian banks from upgrading their systems, according to Saswata Guha, a director in the financial institutions group at Fitch Ratings. Indian lenders have been grappling with rising bad loans and insufficient capital for years, a situation that may worsen after new regulations take effect in coming months. The RBI didn’t reply to an email sent early Tuesday seeking detail on its warnings about Swift, but late that evening it posted a statement on its website saying it had confidentially cautioned banks about misuse of Swift on at least three occasions since August 2016. “Banks have, however, been at varying levels in implementation of such measures,” the RBI said. Federal officials have arrested Shetty, who couldn’t be reached for comment. PNB didn’t reply to emails seeking comment. Swift doesn’t comment on particular allegations and customers, spokeswoman Natasha de Teran said by email on Tuesday. All of Modi’s transactions with PNB were documented and Modi denies allegations he was involved in the fraud, Modi’s lawyer Vijay Aggarwal told NDTV on Tuesday. Modi’s office didn’t reply to a Bloomberg email seeking comment. Finance Minister Arun Jaitley on Tuesday said supervisors and auditors must ensure that frauds are detected early. His ministry is said to have sought a reply from the RBI on whether it found any wrongdoing while inspecting PNB’s account books. The 10-member Bankex index rose 0.3 percent in Mumbai on Wednesday, snapping a three-day drop, as the main equity gauge advanced 0.4 percent. While India’s government and central bank have been setting up panels and making recommendations for years to reform the nation’s banking sector, real progress has been slow, said Fitch’s Guha.